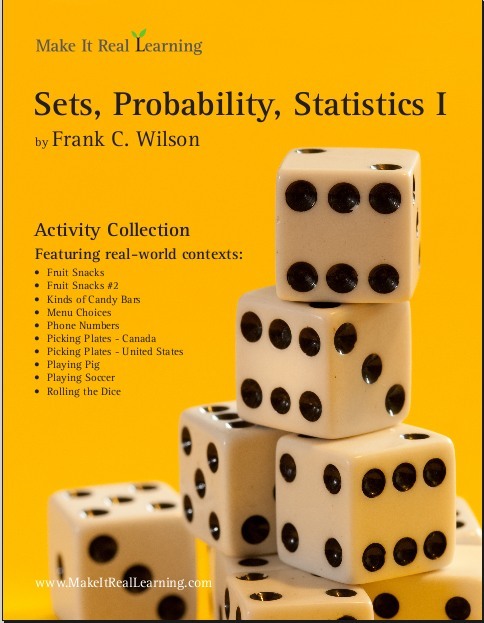 The Make It Real Learning Sets, Probability, Statistics I workbook focuses on real-world situations that may be effectively analyzed using principles of probability and statistics. 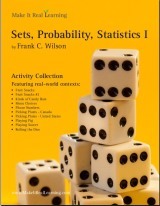 This book suits both middle and high school math classrooms. From determining a winning strategy for a dice game to predicting the contents of a bag of fruit snacks, learners get to use mathematics in meaningful ways. Each activity integrates real world information, companies, and issues (e.g. fruit snacks, Almond Joy, rolling the dice, El Pollo Loco, phone numbers), not just "realistic" data. The mathematical objectives of the activities fall within the standards of the National Council of Teachers of Mathematics.